The Golden State has one of their finest joining us from across the pond this year on Sunday August 6th. Bridge of Allan Highland Games can confirm yet another international name added to the growing list of attendees. The Jefferson Pipe Band will be traveling 5,000 miles from California to sunny Scotland to compete at this years Highland games. 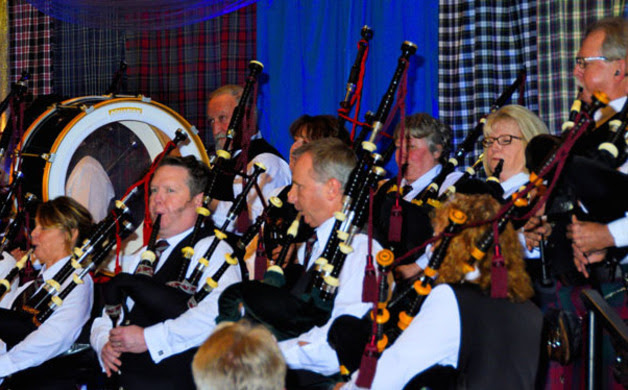 Today, the Jefferson Pipe Band is well-known in Redding. It performs for numerous public events each year, ranging from holiday celebrations to fairs to fundraisers. They played two sets at the Reno Celtic Festival in October, taking a first and second place award. To prepare for Bridge of Allan & Glasgow, Skinner plans four or five competitions this year, culminating in a return to Reno.